Clara Shen, born in Munich in 2005, began playing the violin at the age of five. She is a student of Paul Roczek at the Mozarteum University Salzburg and Sonja Korkeala at the University of Music and Performing Arts Munich. Her violin education was complemented by participating master classes of Ana Chumachenco, Ingolf Turban, Julia Fischer, Albrecht Breuninger and Lena Neudauer. 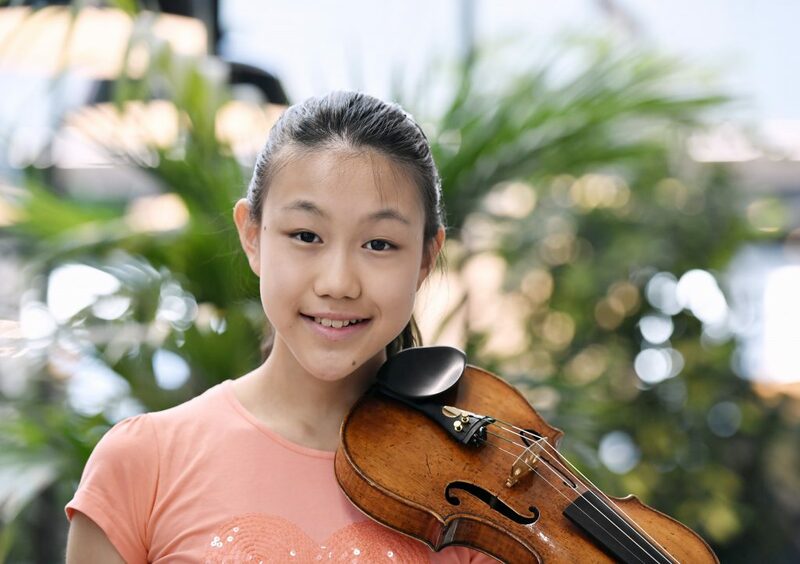 Clara is a former major prize winner at the Kloster Schöntal International Violin Competition and Zhuhai International Mozart Violin Competition for Young Musicians – and was in April awarded 4th prize in the Junior Division of the 2018 Menuhin Competition in Geneva. Clara’s recent solo engagements include performances with the Bavarian Philharmonic Symphony Orchestra, Bad Reichenhall Philharmonic Orchestra, Salzburg Chamber Soloists and L’Orchester de Chambre de Genève. She debuted in the Herkulessaal in the Munich Residence, Victoria Hall in Geneva, Mozart Hall of the Zhuhai Huafa & CPAA Grand Theater, Laeiszhalle in Hamburg and Vienna Hall in Salzburg. She currently performs on a 1740 Antonio Testore violin, on generous loan from the Deutsche Stiftung Musikleben. She is a scholarship holder of Deutsche Stiftung Musikleben and International Academy of Music in Liechtenstein. If you are interested in working with Clara, please get in touch with the EMCY Office.